Time and effort wasted: a cured part full of pinholes is what you want to avoid. You’ve prepped your part, applied the powder, and now you’re waiting to pull the finished product out of the oven. Maybe it’s a piece that your customer desperately needs or maybe it’s a part you’ve taken special care to finish for yourself. But once you take it out, instead of a beautifully smooth finish, you’ve got a ragged, pitted mess – your coating is full of pinholes. Pinholes develop from a process called “outgassing.” Pinholes occur during the cure – as the part heats up, gasses that are trapped on or inside the part escape through the powder, causing holes or bubbles in the finish. These pinholes are not only unattractive, they also allow moisture and corrosion to penetrate the coating and damage the surface. Understanding how pinholes occur and where they come from is key to preventing them. We’ll go over the main three causes and how best to troubleshoot them below. Anything not cleaned off of the part – solvents, grease, oils and other contaminants – can cause disastrous results. One of the primary causes of pinholes is surface contamination. Solvents, grease, mold release agents, and machine oil can all vaporize through the powder coated finish during the curing process. 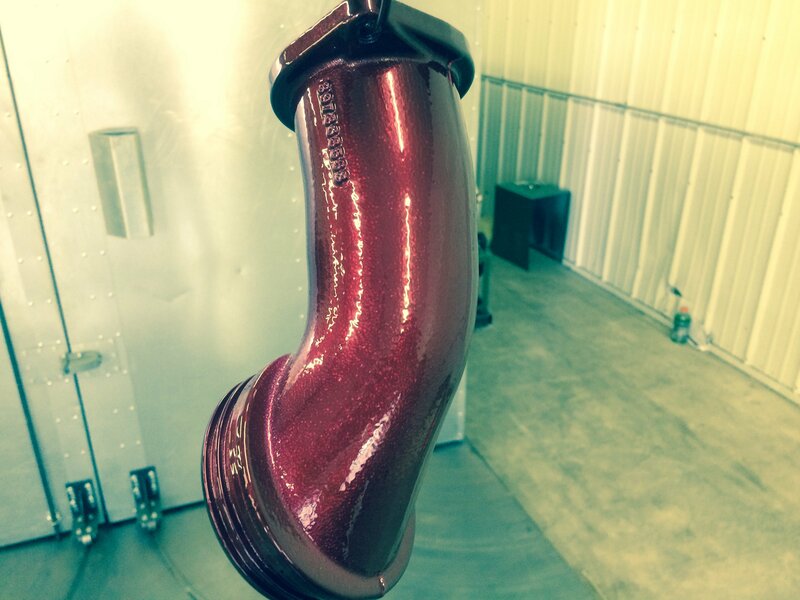 Leftover residue or improper cleaning can subject your part to a variety of finish defects, including pinholes. Preventing this type of problem comes down to proper cleaning. Identify the contaminant(s) and remove them prior to applying powder. 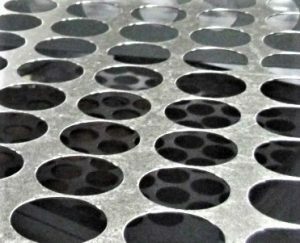 If the problem continues, you may have to add an additional pretreatment step to your coating process in order to achieve the level of cleanliness you need to avoid pinholes (for more information on pretreatment, read our article here). Pinholes can occur from the parts themselves, especially cast metal parts. Cast metal parts made of aluminum, iron, steel, and brass are some of the most likely to have outgassing issues. With both die-cast and sand-cast parts, gasses can become trapped in the part during the pouring process. High-quality castings using premium metals will almost always have less entrapped gas. 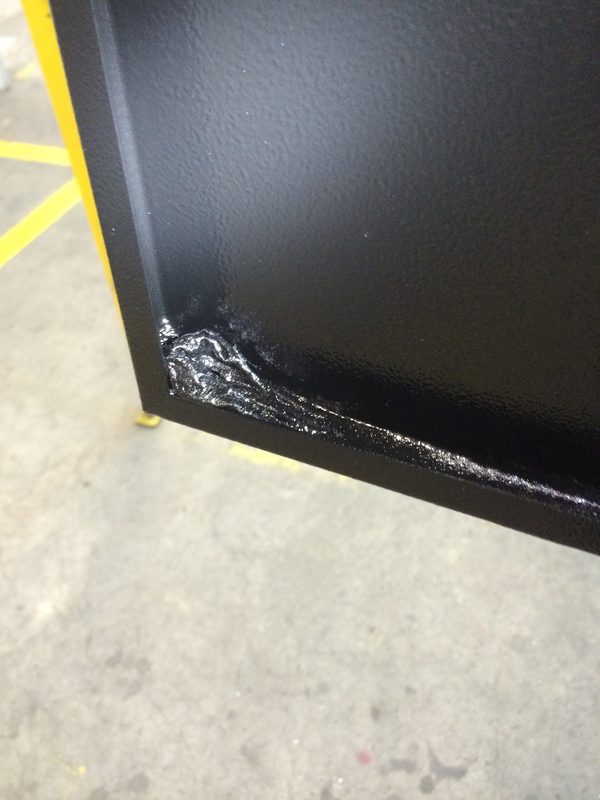 Outgassing can also happen occur when a powder coated finish is applied to material that already has a zinc surface treatment, like galvanizing. During the galvanizing process, gasses can become trapped within the surface coating. It is the escape of these trapped gasses that can cause outgassing problems when curing galvanized steel parts that have been powder coated. Surface treatment, like galvanizing, can also cause pinholes in your powder coating. Pre-baking the part can solve this type of issue. Pre-heat the part before coating, then allow it to return to room temperature. We recommend the product be heated to a temperature slightly above your target curing temperature and held at temperature for a little longer than the part would normally be cured. While some parts are of such poor casting quality that this method won’t work, this solution is effective for the majority of outgassing issues. In extreme cases, it may be necessary to modify the design of the part, impregnate the casting, or use a sealant during the production to get the best powder coating results. It may also be possible to use IR curing or change the coating to one that uses a time/temperature recipe that doesn’t result in the part’s mass being heated as intensely during the curing process. Good coverage techniques and quality control testing will help you avoid overloading your products with powder. 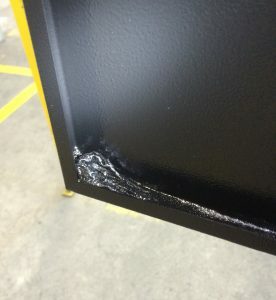 Pinholes can occur with some powder coating materials when they are applied in one heavy coat of greater than average thickness. 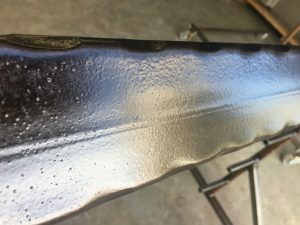 When this happens, gasses that escape during curing are released through the outer surface of the coating after it has begun to cure, causing imperfections in the surface that remain after the part has cooled. Check your film thickness to make sure you’re aren’t getting too much powder on your products (we discuss powder thickness in our article on quality control testing). If the part requires a coating with a particularly heavy film thickness, apply 2-3 thinner layers instead of one heavy layer. Some companies also offer coatings with enhanced flow characteristics that enable the coatings to remain liquid for longer periods of time during the curing process. Trapped gasses can escape harmlessly when the coating is still liquid. The coating will flow into the imperfections caused by the gasses’ exit and yield a blemish-free finish. These specially formulated coatings can also be used for applications where a thinner film thickness is acceptable but the parts’ outgassing cannot be eliminated. 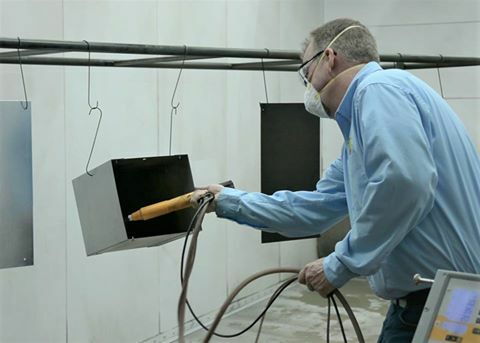 Reliant Finishing Systems not only offers professional-grade spray booths and curing ovens to get the absolute best results, but we also offer a wide range of troubleshooting and training services. Whether you need a new system or want to improve your existing operation, we can help. Give us a call today. This entry was posted in News on April 4, 2017 by Reliant News.